Who Gets the Pets in Your Divorce? You're in the middle of divorce mediation in Denver, and suddenly, you've realized something: you have no idea what's going to happen to Fluffy. 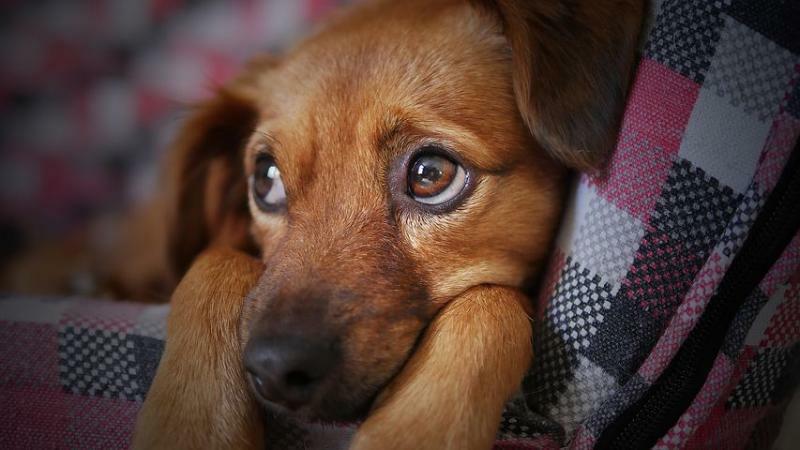 Unlike your children, chances are, you don't want to share custody of your pets–though that's an option you and your former spouse can consider, if you'd like. As you're considering your divorce or going through mediation, there are several things that you should ask concerning how you'll choose to handle your pets. Question #1: Who Gets the Pets? During your divorce mediation in Denver, you're splitting all the rest of your assets. Your wedding china, that expensive painting you just had to have, and even your cars have been divided. Chances are, you've worked out every last detail of custody of your children. But have you considered who gets the pets? No one wants to let go of the family pet (unless, of course, it's a pet that is only loved by one spouse). However, there are several key questions you should ask before deciding who gets the animals. How Many Animals Are We Talking? If you have more than one pet, the obvious solution is to simply divide them down the middle. You take one dog; your spouse takes the other. Problem solved, right? This solution, however, may not be what's best for the animals–and it may not be what's best for you. Your pets have been together for a long time. They rely on each other for companionship. In some cases, separating them can lead to behavior problems and even depression. If you have multiple pets, you'll need to decide whether you want to divide them up or work to keep them together. Both of you want to keep the family dog, but one spouse is keeping the house, while the other is moving to an apartment. Who has the space to keep up with the family pet? If you have a dog that's used to a fenced yard with room to run, keeping them in the house may be more effective. You should also consider any important rules about the apartment lease: not every complex or building allows pets, even cats. After your divorce, your schedule may change substantially. A former stay-at-home parent may have to start working again, or both partners may need to spend more time at work to make up for lost income or money spent on your divorce mediation in Denver. Who's going to have the time to take care of the pets? While cats don't take a lot of maintenance–food, water, and litter boxes, along with a little affection, are all they usually require–dogs may need regular walks and plenty of attention. Carefully consider whether or not you will actually have the time to take care of your animals following the divorce. It's tough to break down custody of a pet based on finances, but that doesn't mean that you shouldn't take the time to consider how your finances have the potential to influence your pet care needs. Pets are expensive. They need regular shots, food, and other supplies to keep them healthy, not to mention the cost of vet care when they're sick. Older pets may require even more expensive measures to keep them as healthy as possible. If one spouse knows that they won't have the income to support taking care of a pet, letting the pet go with the other spouse may be a more responsible option–even if it's difficult. Often, by considering these key factors, you're able to more easily decide who should keep any pets that you brought into your marriage. In some cases, you may find that time, space, and desire aren't the only things that determine who should keep the pets when you get divorced. Make sure that you're also factoring in these key questions. Did the Pet Belong to One of You Pre-Marriage? It's been his dog since he was eighteen and moved out on his own for the first time. She's had her cat for years. If you brought pets into your marriage, typically, they should go with the person who initially owned them. Kids change everything, especially when you're in the middle of divorce mediation–and they change what you may want to do with your pets, too. If you have kids, consider how attached they are to your animals. If your daughter is absolutely in love with your dog and devastated by the idea of not seeing it anymore, the dog may need to go with the parent who has primary custody of her, rather than taking other factors into consideration. It's also important to consider whether or not the pet technically "belongs" to the child when you're deciding what to do with it. If a pet was purchased as a gift, lives in the child's room, or otherwise belongs to the child–no matter who's actually paying the vet bills and paying for food and water–you may want to allow the animal to travel with the child, especially in the early days after the divorce. This can help keep your child more secure and happier in spite of everything changing around them. What If You Can't Reach a Resolution in Divorce? You firmly believe that you should take the dog. After all, you're the one with the space for it to run and time to take it for long walks at the park every afternoon. Your former spouse, on the other hand, loves the dog and doesn't want to let it go. The fight is turning vicious, and neither of you is willing to compromise. If you're struggling to reach a resolution that you can live with, mediation can be an effective way to determine what you want to do next with your animals. If you're struggling to decide how to handle your pets, assets, or other factors after divorce, or if you're ready to move forward with an easy divorce with little conflict, contact Split Simple today for divorce mediation in Denver.